Newcastle Airport helped nearly 5 million passengers jet off in 2013 and that figure is set to increase further for 2014. As the north-east gateway to the rest of the world Newcastle Airport is easily reached just off the A1 and has great rail links thanks to the Metro system. To make sure your holiday gets off to the best possible start, Holiday Hypermarket has put together this ultimate guide to Newcastle Airport covering every step from parking to shopping. Newcastle Airport has three main places to park, short stay, long stay and Park and Fly which is off the airport. Prices start on airport for £42.99 and the Park and Fly from £39.99. Prices based on 5th August for 7 nights. Don’t fancy the walk? The airport offers a meet and greet service, prices start £56.99. Newcastle airport has a hotel for every budget, pick from the 3* Britannia hotel a Premier Inn or the newly built 4* Double Tree by Hilton hotel. Prices start from £59 however Holiday Hypermarket occasionally offers special rates so it is worth calling to see what our best deal is. Newcastle Airport has two check in areas, one either side of Starbucks. 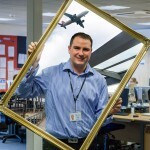 There are huge screens with all the up to date flight information plus plenty of staff who are always on hand to help. There are loads of places to grab a snack before moving through to the departures including Greggs and Condeco Bar but remember liquids cannot be taken through security. There is also a cash machine here next to WH Smith and Travelex for any last minutes currency changes. Newcastle has a pretty slick security system, it has added more security gates, making it a smoother journey and faster. Even in busier times you can slip through easy with the fast track service costing only £3. 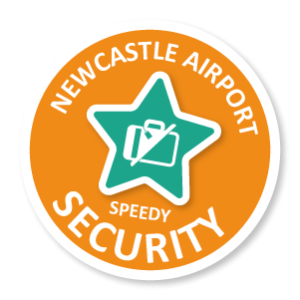 Newcastle Airport’s security is so well oiled it has made this part of the airport experience effortless we have awarded Newcastle Airport with the Speedy Security Award. Plane spotters love Newcastle Airport’s huge windows that look out onto the runway letting you idle the hours away, watching the planes land and take off. There are plenty of shops for a spot of retail therapy before you fly or if you want to really get in the holiday spirit early you can treat yourself to a few hours in Aspire Lounge. Drinks and nibbles are on the house and with prices starting from just £24.99 it can save you money on the day. Once you’re airside there is a section in the Eagle Bar where you can smoke. Flying Eagle has modern décor and a sophisticated bar area why not fill up here with meal and a beer or a wine before your flight. A huge advantage for the smokers is at Eagle Bar they have a designated place to smoke, check with staff for directions. Real ale lovers with enjoy the constant flow of the wide selection they have here on tap at The Beer House. Don’t have too many before the flight! 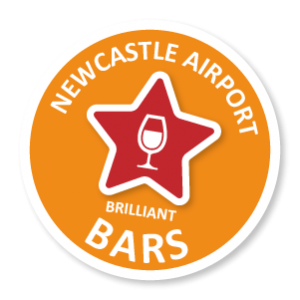 For the wide selection above we have awarded Newcastle Airport with the Brilliant Bars award from Holiday Hypermarket. One of the latest editions to Newcastle Airport is the Flying Hippo which is an American themed diner. It’s great for kids and your wallet at the moment as they have a special offer on that kids eat free up until 1st October 2014. There are other eateries scattered around departures such as BK, Upper Crust and The Wine & Deli if you fancy a breakfast platter or some smoked salmon with your morning cappuccino. If you’ve forgot any essential items we’re sure you’ll be able to pick these up at Biza, Accessorize, Traveller, Dixons, Boots, WHSmiths, JD, Claire’s. To keep the children entertained the airport has an area called Namco Games with great video games and arcade games to keep the adrenaline going until departure. Here at Holiday Hypermarket we believe a great airport will make you feel like your holiday has started before you even step on the plane. We have looked at all the important factors a great airport should have such as Speedy Security and Brilliant Bars to give you the best start to your holiday. Newcastle Airport has recently improved the departure terminal as well as updating their security with a fast track service and extra scanners. Once passed security, passengers can settle down with a beer or glass of bubbly from one of the new bars. They have done a fantastic job with these improvements and are deserving winners of Holiday Hypermarket’s Speedy Security and Brilliant Bars Award. Lastly, have a nice flight! Read next What do we really want to eat on a flight?